Have you seen these little babies? 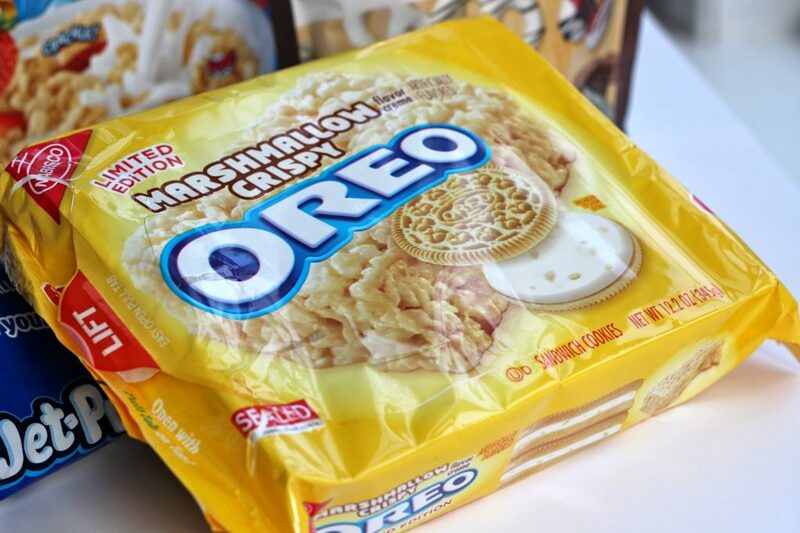 We saw these and thought… what can we do to make these even more fat-tastic? 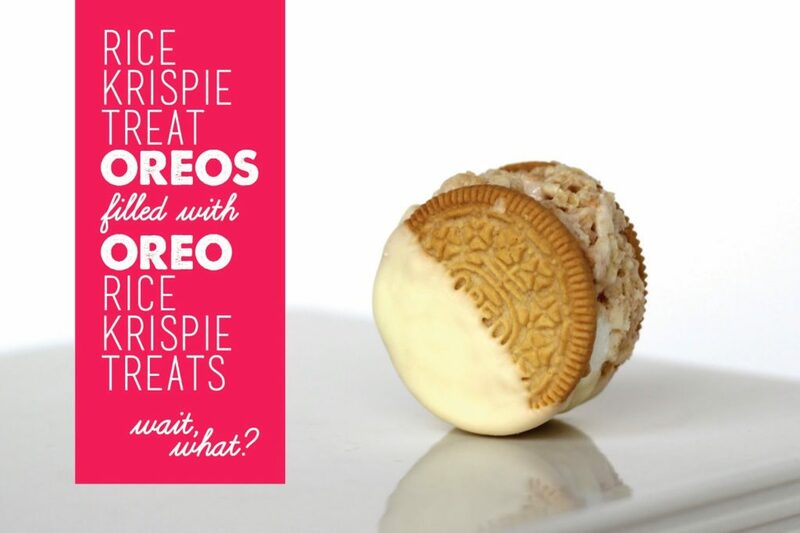 Hmmm let’s scrape the good stuff out, mix it with rice krispie treats, slap it back in between the cookie parts, dip it in chocolate, and drench it in sprinkles. OKAY! Here’s the hardest part… try not to eat the oreo middles with your hands a spoon. Add sprinkles while chocolate is still soft if you want to make them festive! 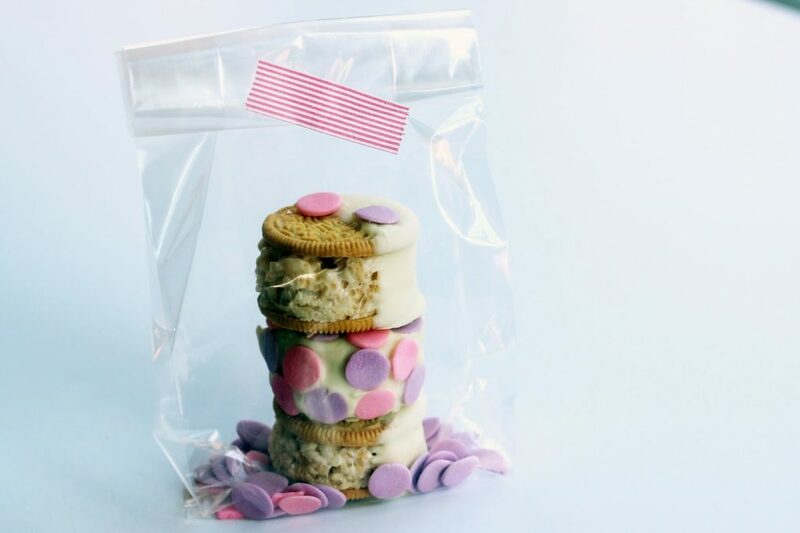 Package these yummies up and spread the love! 1. Scrape the cream centers out of the Oreos and set aside- they peel right out! 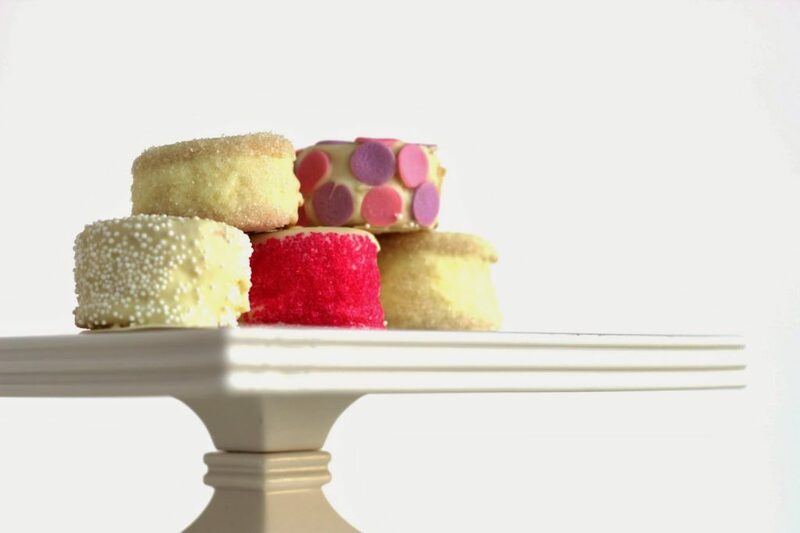 Save the cookie halves. 2. 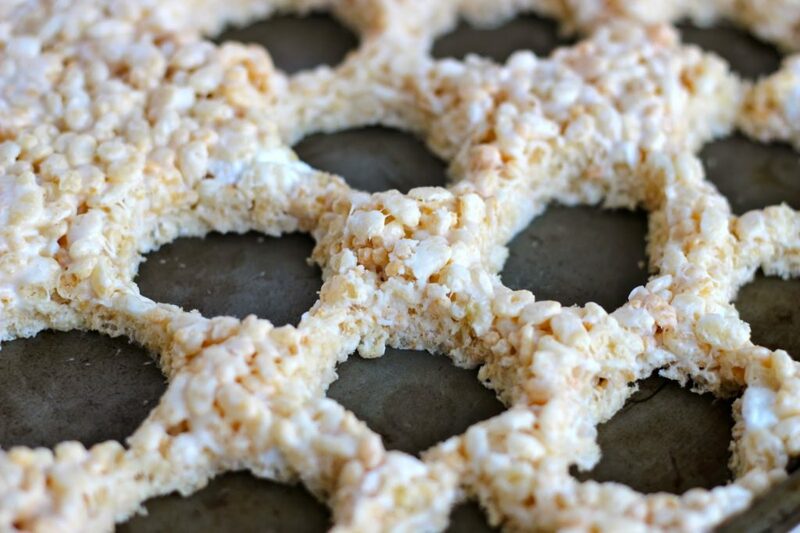 Make rice krispie treats: melt butter and marshmallows. 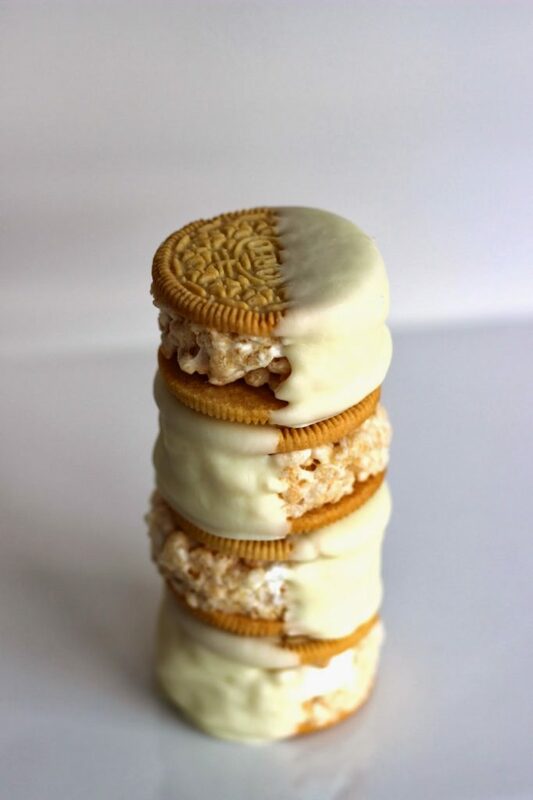 Stir in cereal and Oreo cream centers. 3. Press mixture evenly into greased baking tray with greased spatula or parchment paper. 4. 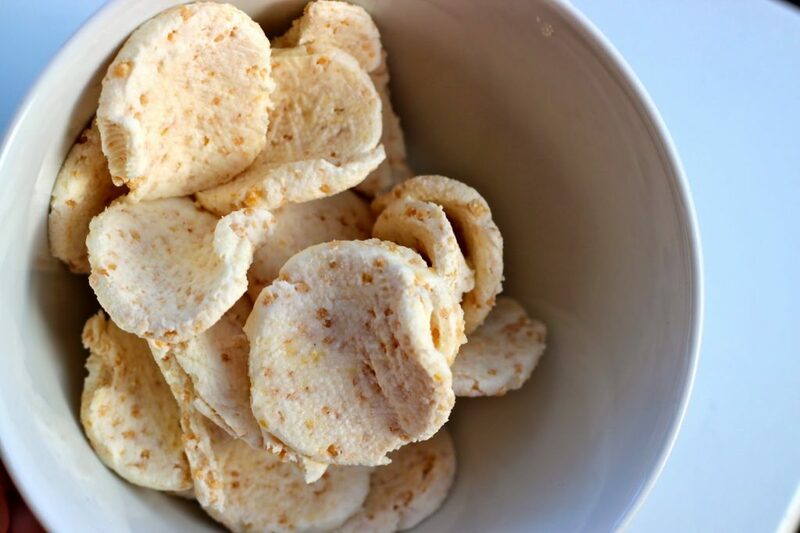 While treats are still a little warm and pliable, cut circle shapes out and set aside. We used an empty sprinkle container. 5. 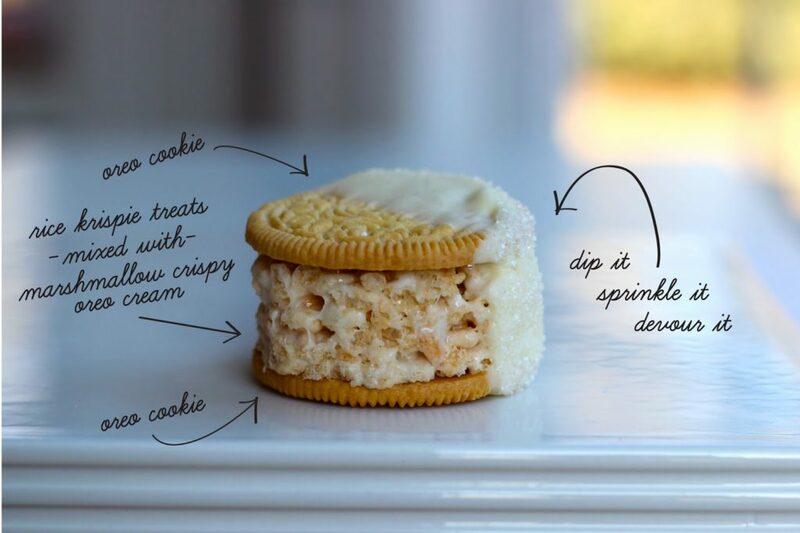 Smoosh rice krispie treat circles in between the Oreo cookie halves. 6. Melt chocolate in a double broiler/microwave and dip oreos. The cookies really don’t stay together well without the chocolate part! Dip the cookie in sprinkles while the chocolate is still warm and let cool completely. Wow! These look amazing….thanks for the idea!